Kitchen Kraft is a complete design-build-remodel firm located in the Historical German Village area of downtown Columbus Ohio. We have specialized in kitchen design and bathroom remodeling since our beginnings in 1995. We are now one of the largest and most notable kitchen design firm in Columbus, Ohio. We also offer design/remodeling services for other areas of the home: laundry rooms, entertainment centers, wet/dry bars, and closet systems. Our certified designers make your dreams come true with state of the art design technology. Kitchen Kraft is a full home design/remodeling firm located in the Historical German Village area of downtown Columbus Ohio. We have specialized in kitchen design and bathroom remodeling since our beginnings in 1995. We are now one of the largest and most notable kitchen design firm in Columbus, Ohio. Our philosophy at Kitchen Kraft is to make home remodeling convenient. We are your one-stop shop for kitchen design or bathroom remodeling needs. We handle everything from plumbing, electrical, framing, demolition, drywall, carpentry, and flooring and eliminate the need to hire multiple remodeling contractors. Our designers not only design your dream kitchen & bathroom but also aesthetically put it together without having to hire other contractors. This methodology makes the design process much more convenient and cost effective. We are at your side every step of the way to ensure your project unfolds the way it was intended. Your satisfaction is our goal. Your dream is our reality. 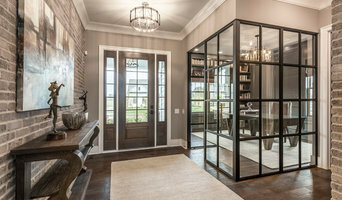 Richard Taylor Architects is a Custom Residential Architectural firm that specializes in the design of unique custom homes, remodeling, and addition projects. In addition to compelling design, we provide services all the way through construction, helping you maintain control and organization, and bringing greater value to your project. We’ve helped countless homeowners through the design and construction of their projects across Ohio including Columbus, Dublin, Grandview, Upper Arlington, Clintonville, Bexley, Worthington, Westerville, New Albany, Lima, Delaware, Powell, Granville, and Indian Lake. Timeless, Imaginative Design Everything we do is one-of-a-kind, high-quality custom residential architecture, drawn from extensive experience, from resources of history, art, and architecture, and from imagination. We appreciate the subtle beauty of the proportions and scale that underlie classic, traditional design, and know how to translate that to custom, contemporary design as well. That’s the reason you see so many different styles of homes and remodelings in our portfolio – every project blends the uniqueness of our clients with the discipline necessary to produce distinctive design. Client-Centered Design Process The individuality of your home design begins with what we discover together about your style, yours wants, needs, and dreams. Of course, we’ll use all of our experience and imagination to bring new and interesting ideas, unique character, and loads of style and value to your project, but we never forget that this is your home, not ours. Getting Started Take a few moments to browse through our portfolio of new homes, remodeling projects, and room additions, and contact me to talk about what you have in mind for your project. I look forward to sharing the fun and excitement of the custom design process with you. We create happiness! Through thoughtful listening and instinctive design we provide creative and clever solutions for your home that will inspire your life. We are not designing a home for us, we are designing a home that fits the needs, goals, and dreams for you, your family, and your lifestyle. We specialize in custom homes, and whole house renovation and addition projects ranging in size from quaint cottages to large estates. We believe every project needs to seamlessly align with the client’s lifestyle to create a perfectly functioning home, regardless of how many spaces are contained within it. Full service design/build remodeling company. We custom design our own cabinetry tailored to our customer's needs and manufacture our own cabinet design. We specialize in space planning to maximize functional storage in the home. Custom Home Works is a full-service Ohio contracting company specializing in high quality custom design, building and remodeling services. Design, Build, and Remodel Kitchens, Baths, Room Additions and much more. 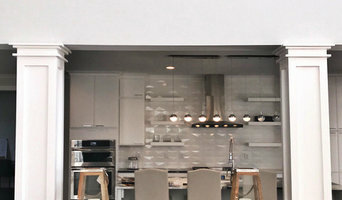 Best of Houzz 2015-19. Full service decor packages from start to finish. Our simple 3-step process gets you from thinking about it to enjoying your turn-key reveal. Define. Design. Deliver. Consider Dixon Design's decor services for your inspired decor. Residential Designed Solutions works with our clients to help them realize their dream home, renovation or addition, while understanding their functional needs and budget. Born and raised in Columbus Ohio I have aways had a passion for Architecture and Design. After Graduating High School, I worked for two remodeling companies while paying my own way at Ohio State University. In 1991, I was confident that with my hard work and dedication, I could start my own remodeling company and here we are over 25 years later. My company focuses on residential remodeling and we service many cities surrounding Columbus Ohio. We are a small company but we strive to be the best in the industry with our innovative designs and an unmatched professional service from the start to finish. We love what we do and are proud of our A plus rating with the Better Business Bureau, our 34 Angie's List Super Service Awards and being a 24-time NARI Contractor of the Year. If you are wanting to remodel your home and you are looking for an honest, competitive, knowledgeable and reputable company, I would love the opportunity to earn your business. I personally handle all of the sales and design, so when you call, please ask for me - the owner. Thank you. We have been a family owned and operated builder since 2000. Back in 1999, on the day we had our first son, we launched into the remodeling arena in Central Ohio. Things took off and we began designing and building all types of projects ranging from bathrooms to basements to porches. Since then, we have been blessed to work with so many awesome families and help create functional and aesthetic solutions to their home needs. We currently are building new homes, developing land and restoring out-dated properties. We still love to design and build everything from; basement remodels, to kitchens, to baths, to small handyman repairs as well. We know it is true that "Except the Lord build.builds the house, they labor in vain who build it."